Home/Uncategorized/What Do the Logos and Letters Mean? I am asked a lot about what these letters behind my name mean. Here is what the Auctioneers Organization say about them. The professional designation awarded to practicing auctioneers who meet the experiential, educational and ethical standards set by the NAA Education Institute. In order to be granted the CAI designation, auctioneer scholars must have been practicing full-time auctioneers for at least two year (prior to attending the institute), attend all three years of CAI with more than 120 classroom hours, complete all special projects and complete 24 hours of continuing education every three years. The CAI program focuses on developing the skills required to operate a successful auction firm and business. CAI is the highest level of educational designation for professional auctioneers; only three percent of auctioneers nationwide hold this professional designation. CAI designees pride themselves on being a part of an extraordinary network of professional Auctioneers who possess the knowledge and skills needed to provide their clients with outstanding services. The CAI designation communicates to attorneys, trust officers, government officials, accountants and others affiliated with the auction industry that the CAI Auctioneer is committed to continuing education and is dedicated to professionalism and excellence in the auction profession. The Certified Auctioneer Institute is an educational program completed over a three-year period (CAI I, CAI II, CAI III). Every March, Auctioneers from across the world visit Indiana University for a week of intensive training. In addition to classroom instruction, CAI students’ network with fellow Auctioneers and develop lasting friendships and business partnerships. A professional accrediting organization providing certification of personal property appraisers. The Guild has been instrumental in helping to standardize the personal property appraisal profession. The training each member is required to complete includes the uniform standards of personal property appraisal practice and appraisal report writing. The Certified Appraisers Guild of America confers the professional membership designation CAGA to recognize the completion of the appraiser’s certification education. Members are professionals who have completed the certification process. In addition, the members have made a commitment to the Certified Appraisers Guild’s Code of Professional Ethics and to the Uniform Standards of Professional Appraisal Practice. 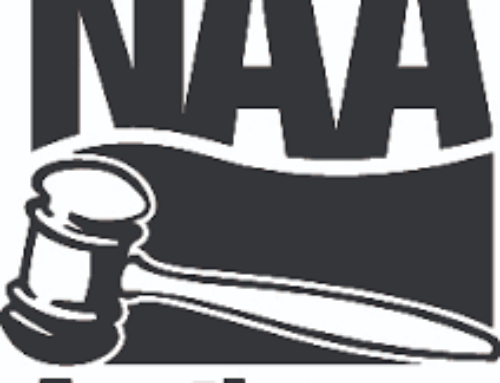 Founded in 1949, the National Auctioneers Association (NAA) is the world’s largest professional association dedicated to professional auctioneers. The NAA was built by auctioneers, for auctioneers. Headquartered in Overland Park, Kan., the NAA represents the interests of thousands of auctioneers in the U.S., Canada and across the world. 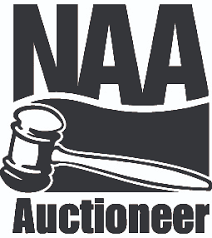 The NAA also represents the individual auctioneer and a range of auction professionals servicing a variety of industries. The association is dedicated to providing its members with educational programming and resources to help them advance themselves as professional auctioneers. Members of the NAA abide by a strict Code of Ethics and are connected with an extensive network of professional auctioneers. As a member of the NAA, auctioneers have access to several benefits developed specifically to help them grow professionally and advance their auction careers and businesses.